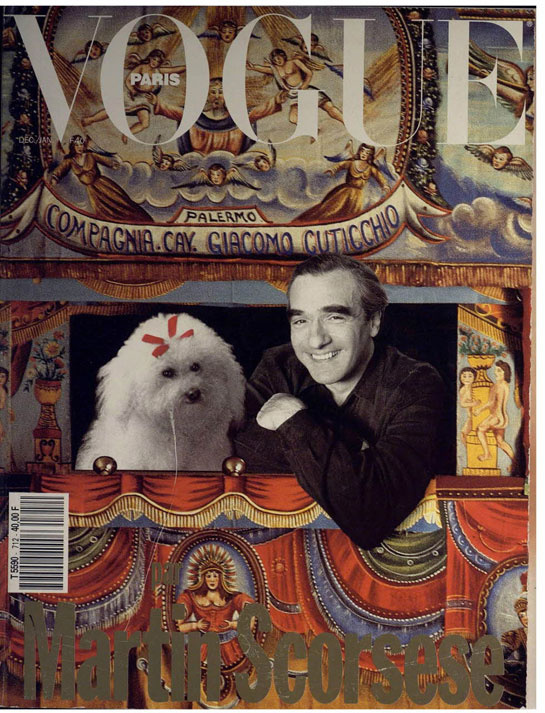 © the one and only Martin Scorsese on the cover of French “Vogue”, December 1990 /January 1991 ! One hell of a funny cover ! If you have any more interesting covers, kindly email them to hanin.hannouch@gmail.com with publishing date and you will be named as a contributor!